Magic. A game—no, wait, the game—truly without peer. Games have been played, thought about, and created for as long as humans had the wit and leisure to do so. Our good fortune, taking the truly cosmic view, is that we are alive and gaming in this time and this place. In 1293 there was no Magic. Not in 1593. Not in 1793, or 1893. But 25 years ago, Richard Garfield created, at the very least, one of the most challenging, mesmerizing, frustrating, glorious, epic, unbeatable, unputdownable games of this or any other time. Richard (good name, by the way), thanks. Trillions of words have been written and spoken about this game, in a span of only one third of a typical lifetime. Billions of games played. A near-infinite supply of joy, and laughter, and oh-so precious memories. But this weekend in Minneapolis, Minnesota, we're going to attempt what is surely impossible: to distil the magic of Magic into four momentous days of gaming. From the distant vaults of the earliest moments of the game to glimpses of a future where millions continue to speak the language of Magic, bringing us together in a way that only this extraordinary game can, we're going to attempt to share with you what it is that makes us as a community, as gamers, and as Magic players a powerful force on this small, insignificant, endlessly spinning sphere of ours. Like I said, it's an impossible task. But I promise you this: we are all really, really going to try. We made a good start, I think. We decided that three days just didn't have enough hours in them, so this particular Magic party is getting well and truly started on Thursday. Typically, we'll stroll into the Pro Tour venue around lunchtime on Thursday, get our bearings, knock out a quick preview for YouTube to whet your appetite, and be back in our palatial suites by sundown. Not this time. This time, we're opening our 25th Anniversary celebrations with more than 2 solid hours of action-packed entertainment. You'll still get our thoughts on this most unusual of Pro Tours, but our main focus is the start of an extraordinary sub-plot to our Pro Tour main course: the Silver Showcase. This unique exhibition event melds past, present, and future in a way we guarantee you haven't seen before. Eight players will sit down live on Thursday for a Draft format formed from Magic's earliest days. Rochester Draft, to give the format it's technical name, was used in the early days of the Pro Tour, finally being retired in the mid-2000s. Instead of the current Booster Draft format you're all used to, picking one card from a booster that only you can see, Rochester is done with every card from a single booster face up on the table, with each player picking in turn, before the last player to pick gets a second card—the "wheel"—sending the picks back in the opposite direction. Since there are fifteen cards in a booster, the player who opens the pack only gets one pick. As the draft progresses, it's possible—though an incredible feat of mental dexterity, to be sure—to keep track of what everyone at the table is drafting. Player on your left has all the good red cards? Don't want to lose to Fireball? You can take it away from them with one of your picks. And, rest assured, if you want that Serra Angel, they want to make sure you don't get it. It's a bloodthirsty format with a ton of open information, and it's glorious. You can do a Rochester with any boosters you like, but this is the Silver Showcase, and, tempting though it was to give those unopened Betrayers of Kamigawa boosters a home, the 25th Anniversary deserves something a little more, well, anniversary-ish. So, the boosters for this extraordinary draft stretch back to the very beginnings of the game. The players will draft three packs of Limited Edition (Beta)—the second printing of the original Magic set. They'll draft Legends, which is packed full of exactly what it sounds like. And, they'll draft a unique combination of Antiquities and Arabian Nights, since those sets have only eight cards in the pack. Over the summer celebrations around the world, we've seen players as far apart as Las Vegas, Singapore, Barcelona, São Paulo, and Chiba get their hands on some of the most iconic cards in history. These astonishing artifacts—sometimes actual artifacts—have thrown up incredible moments that continue to add to the rich lore of 25 years of competitive play. There's no telling what those special packs will hold on Thursday. A Mox Emerald was but one of the many treasures opened in the Grand Prix Las Vegas Beta draft. But I mentioned competition, and for that, you need not just cards but players. The Silver Showcase features players from around the gaming world. Four of the seats go to the players with the highest Lifetime Pro Points within their geographic region. That brings Hall of Famer Raphaël Lévy of France, Hall of Famer Paulo Vitor Damo Da Rosa of Brazil, Hall of Famer Shuhei Nakamura of Japan, and Hall of Famer and the Greatest of All Time Jon Finkel of USA to the party. They're joined by four players who share a passion not only for Magic, but other games too. There's Brian Kibler, a Magic Hall of Famer, but also a game designer, and one of the premier Hearthstone celebrities. Also with Hearthstone success comes Stanislav Cifka, the man who put all his Eggs in one basket when winning Pro Tour Return to Ravnica in 2012. Jason Chan, better known as Amaz, is one of the most popular internet streamers in the world, regularly showcasing MTG Arena to his legions of fans. And David Williams, one of the most successful players ever at team format events in Magic, rounds out the field, having become one of the most respected poker pros in the world. Together, those eight plus the boosters will create another piece of Magic history, and it all begins live on Thursday with the draft itself. The matches? Patience. Those come later! When the Pro Tour ends on Friday, we'll run the quarterfinals of the Silver Showcase. On Saturday night, it's time for the Saturday Silver Showcase Semifinal Showdown. Or something. And then the last two players left standing will kick off our amazing Sunday with the final. Nobody wins or loses alone at this Pro Tour. Everyone is part of a team of three players. Each round, they'll sit down for their own individual match against their own individual opponent, and they'll battle the best-two-out-of-three games as usual to determine the winner. But that might not be enough. In team play, two match wins let you claim the round for your team. It doesn't matter what happens in the third match—sometimes you'll see that final match stop playing, sometimes you'll see them play it out for fun and bragging rights—but the second match win is what counts. There are seven rounds of play on both Friday and Saturday, with each round win counting 3 points toward your trio total for the weekend. All the teams can play all fourteen rounds across the two days, and our best guess is that losing for a third time is going to be bad news for your chances of advancing to Sunday play, when the Top 4 teams (remember, at an individual Pro Tour, it's usually the Top 8) return for the knockout showdown, where the games will be the best-three-out-of-five. For the best part of the last decade, Pro Tours have been mixed format, featuring both Limited (Draft) and Constructed. This time, there's just no room for Limited rounds, because this Pro Tour is bursting with Constructed goodness. Each of the three players on a team gets to play one Constructed format. In the first seat, we'll see Legacy. That includes cards from the entire history of the game, and it is a format for which the term "power-packed" doesn't do justice. Legacy is nuts. The bar to being a card that's worth a place in a Legacy deck is extraordinarily high. Legacy is a what's what of the greatest cards in the game, and every single thing that every deck in that format is designed to do is done with efficiency and economy front and center. If you're a new viewer to Legacy, here's a pro tip: don't miss turn one! The narrative of a game of Legacy is often starkly clear by the time each player has taken a single turn, with significant advances to the story of what's going to play out. Turn two? That can be the mid-game in Legacy! In the middle seat of our trios, it's Modern. A format that's more volatile than Legacy, not least because the bar isn't set quite so high for a card to find a home in a Modern deck, this format nonetheless bristles with craziness. 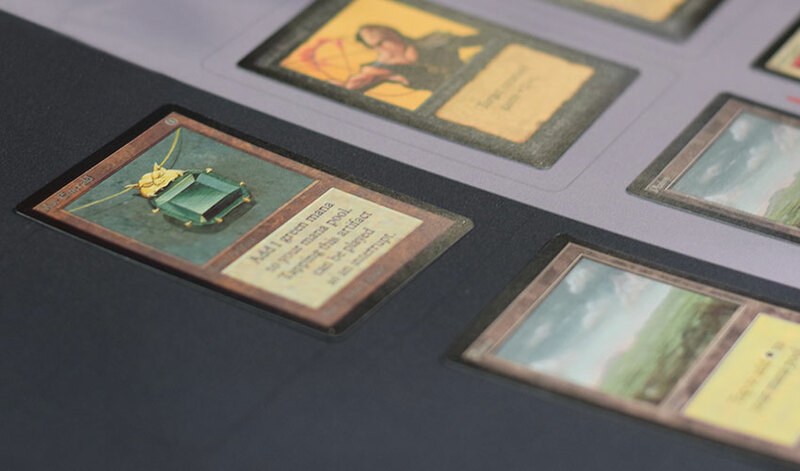 Historically, Modern—which takes its name from the "modern" card frame redesign—showcases all the cards from Eighth Edition onward. Like Legacy, there's a banned list of a few cards that are just too much for the health of the format, but, also like Legacy, there are a ton of options out there. Indeed, Modern has built a reputation as the format where you can play any style of Magic you like, without giving up the notion of playing the "best deck." 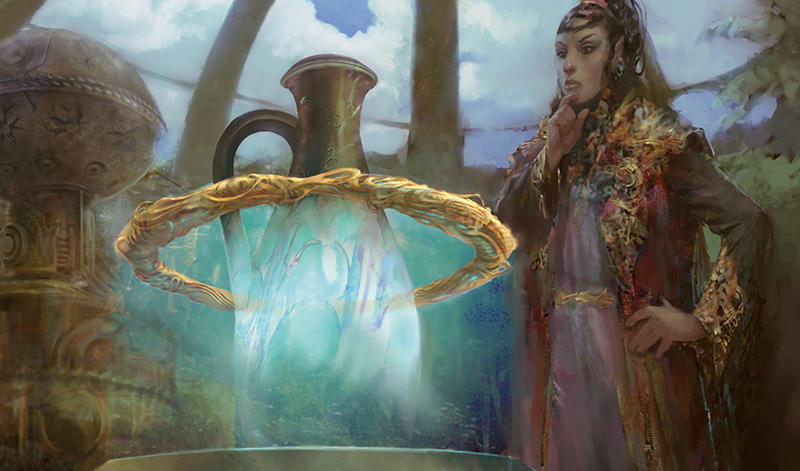 In Modern, there are numerous options for aggro, control, combo, and midrange decks. It's a glorious format. Seat three is for Standard, the most up to date—and least explored—of our three formats. Goblin Chainwhirler is still a major part of Standard, but with Grixis Midrange, Mono-Green Stompy, Black-Green Constrictor, Paradoxical Outcome, Esper Control, and White-Blue Gift decks, amongst many others, Standard is set to have its own charms alongside its more illustrious and historic formats. If there's one thing we've learned from watching Team Grand Prix in recent years, it's that the best teams consistently do well. Actually, not just well, but kind of dominating. In any set of four teams making it to the elimination rounds, you can expect three of them to be stacked with recognizable names with a rock-solid track record at the highest level. Here at PT 25th Anniversary, there won't be many hundreds of "regular players" making up the numbers, so of course these top trios are going to be taking wins away from each other as soon as the tournament begins. Nonetheless, it would be no surprise at all if I've listed all four of the Sunday squads in that short list above. Ultimate Guard Pro Team have a significant lead over the field, and most realistic scenarios have the rest scrabbling for second place. Nonetheless, with 60 points going to the eventual Champions on Sunday, and 54 for second place, it's conceivable that someone could come from waaayyy back in the field to reach the Team Series finals in Las Vegas in September. In the meantime, sit back and marvel at some of the greatest teams ever assembled. Three more go to the Champions of Pro Tour 25th Anniversary. Then it comes down to Pro Points. Four of those slots go to the Regional Champions, representing North America, Europe, Asia-Pacific, and Latin America. For the rest, it's a straight run down the Player of the Year standings at the close of business on Sunday. With so many amazing trios on show, there's every chance that multiple players on Sunday will still be looking to cement a spot at the World Championship, either with a semifinal finish or the ultimate victory. Every Pro Tour, there's quarter of a million dollars given away in prize money. This time it's different. $850,000 is on the line, and the total across the weekend makes this the first ever million-dollar weekend for Magic. Knowing that $50,000 could be coming your way makes every final a nerve-wracking experience. Knowing that there's $50,000 on the line for two of your closest friends at the same time? That's definitely pressure right there, and it's another reason why this looks set to be a Pro Tour dominated by the very best teams, teams who have been through the crucible over and over, and will still be able to play their best Magic when the stakes are highest. While players have been scrambling to work out their best roster of talent, we've been doing the same behind the scenes. The news desk will be crewed by Maria Bartholdi, Brian David-Marshall, and me, your host, Rich Hagon. For play-by-play, there's a rotating squad of Marshall Sutcliffe, Tim Willoughby, and Riley Knight. Our resident experts, watching the matches and bringing us all the analysis at the desk, are Paul Cheon and Simon Görtzen. Working their way through the triple-metagame madness and bringing us the written word throughout the weekend is our text team of Corbin Hosler, Ray Walkinshaw, Meghan Wolff, Blake Rasmussen, and Mike Rosenberg. Plus, because sometimes pictures are indeed worth a thousand words, Craig Gibson will be on hand to capture the most iconic moments on camera. Plus, our team of dedicated men and women covering every aspect of production, from lights and cameras to audio and internet, to hair, makeup, and wardrobe, and set design, and . . . you get the idea; there's a lot of people you don't see and hear who make what you see and hear the best it can be. So, there's a lot to keep track of, and the potential for the spectacular each and every round. Here's the quick summary, just in case you can't remember which particular bit of awesome is coming next! Friday, August 3, at 7 a.m. PT/10 a.m. ET/2 p.m. UTC: Rounds 1–7 of the Pro Tour Team Constructed, followed by the Silver Showcase Quarterfinals. Saturday, August 4, at 7 a.m. PT/10 a.m. ET/2 p.m. UTC: Rounds 8–14 of the Pro Tour Team Constructed, followed by the Silver Showcase Semifinals. Sunday, August 5, at 7 a.m. PT/10 a.m. ET/2 p.m. UTC: The Silver Showcase Final, followed by the semifinals and final of the Pro Tour, and the conclusion of the Million Dollar Weekend. So, now is the time to clear your calendar, make yourself unavailable, and settle in. 25 years after the birth of the game, this weekend is going to be a fitting tribute to the game we all love. Come join us on twitch.tv/magic to celebrate the past, the present, and the future of Magic!